I was craving some xiao long bao the other day. I haven't had XLB in months!! 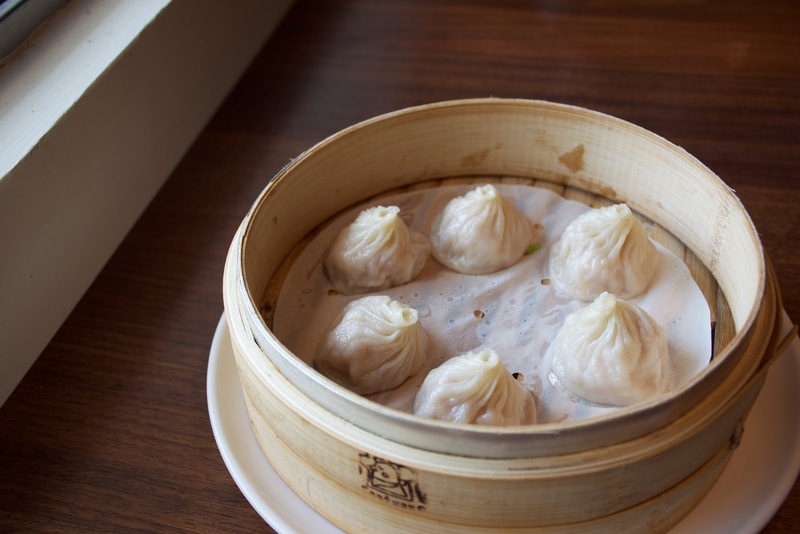 The last time I ate xlb was at the original Din Tai Fung in Taipei. It was glorious. I'm salivating just thinking about it. Why can't we have a DTF in Vancouver?! Sigh...such is the life for someone with allergies! I guess I have to be super careful with ordering now! 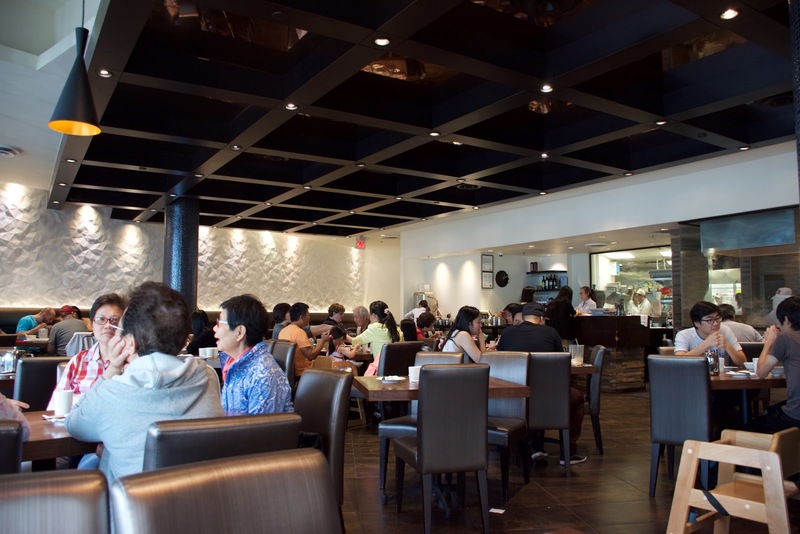 This place gets packed during lunch hour, so make a reservation if you don't want to wait in line!! Luckily I went right when they opened at 11 am. I went on a weekday, and within 10 mins, the crowds starting pouring in. They also have another location in Richmond, one on Robson, and they're also opening one across from Crystal Mall in Burnaby (which I'm SUPER excited for!!) :D But they're going to be competing directly against Shanghai Elan across the street!! Side Note: I read on Yelp that the Aberdeen location only gives you 6 xlb, whereas their other locations give you 8 for the same price! Does anyone know why? They also have a sweet version! So Taiwanese!! :D Totally brings me back to Taiwan. 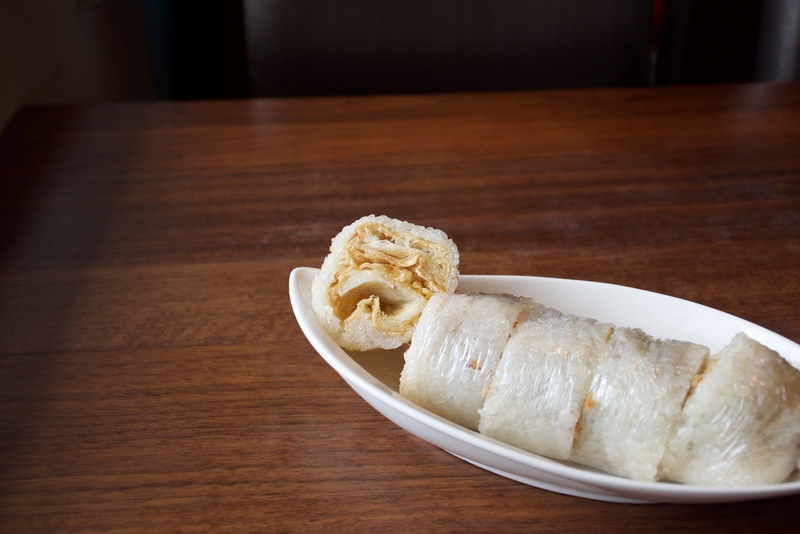 Fan Twan is basically a Taiwanese burrito that people eat for breakfast! I was surprised at how good this was. It tasted pretty authentic. The rice was just the right texture, chewy and glutinous! 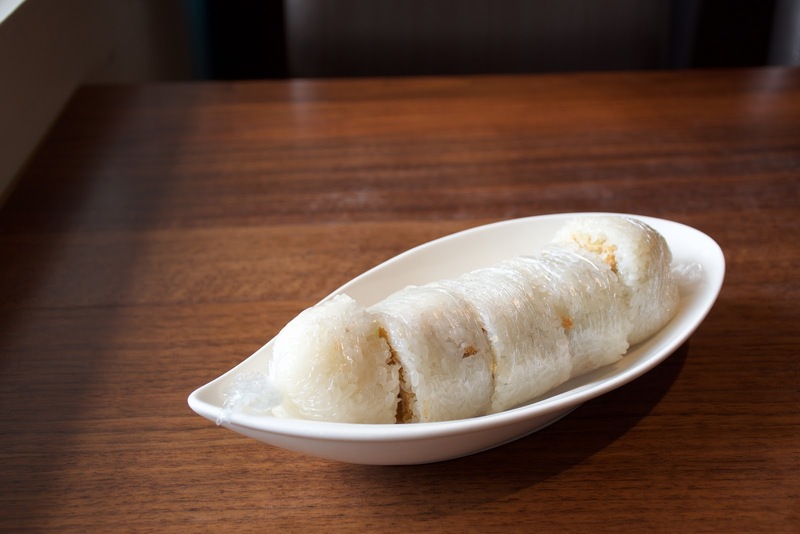 The rice was wrapped around a crunchy chinese donut, with pork floss and sour cabbage! The inside is super fragrant, and I love the mixture of different textures! 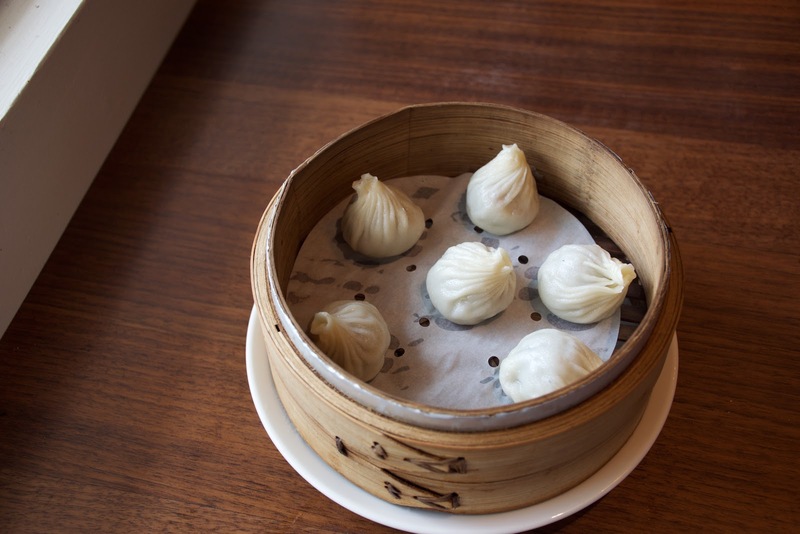 There wasn't a lot of rice, so you can probably eat 2 of these and still have room for XLB!! The ones in Taiwan usually have a lot more rice! Clearly someone's still obsessed with you tiao!! ;) After eating my fan twan, I wanted more you tiao...so I got this! 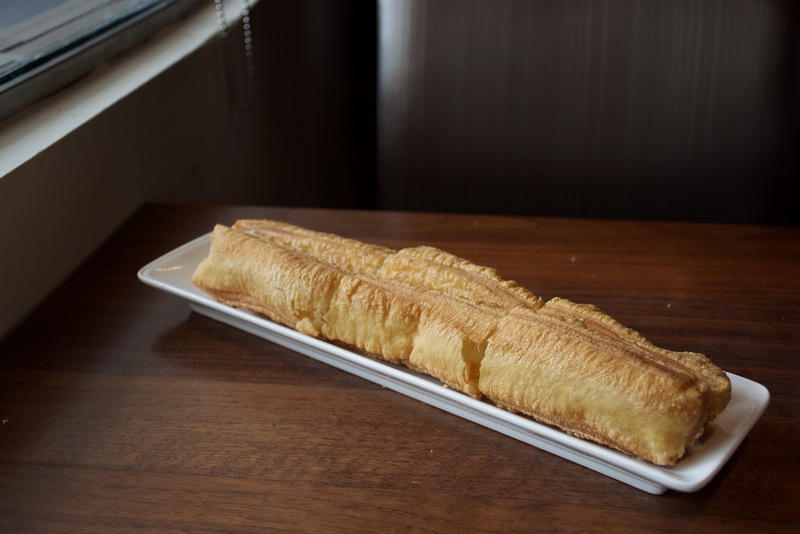 This was actually different from the you tiao they put in the fan twan. The ones in the fan twan are crunchier and airier, these ones are denser and doughier! While the outside was nice and crunchy, it was a bit too crunchy, to the point where the dough cut the inside of my mouth! The inside was decently moist though and it wasn't too oily! I really enjoyed this! The portion size was really generous - definitely meant for sharing, but I devoured the entire thing! The rice cakes themselves were perfectly cooked, perfectly chewy! 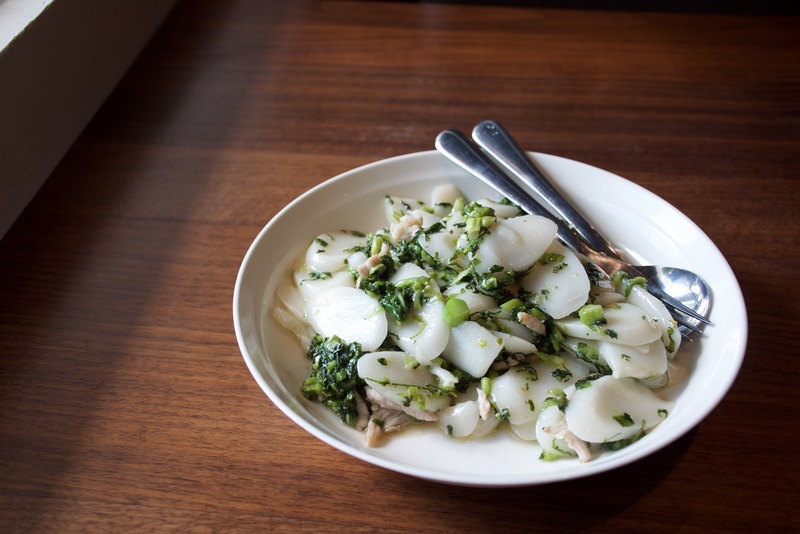 The salted vegetables added a lot of flavour and made the entire dish really fragrant! The noodles were really good! 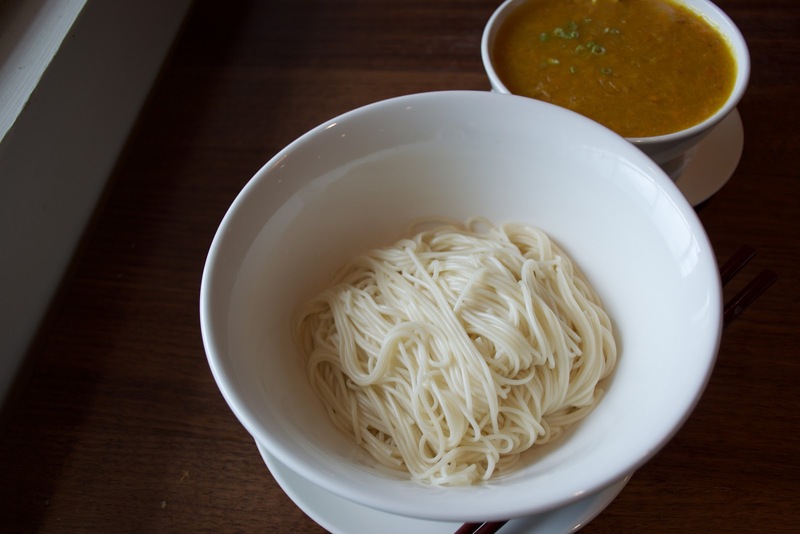 They actually kind of remind me of Din Tai Fung's noodles! They come a bit stuck together, but you're suppose to mix it in with the soup to untangle it! The noodles were perfectly cooked, al dente, chewy, with bite! The soup itself was creamy and pretty light tasting! There wasn't a lot of crab in there, but there was a generous amount of shrimp! It was a pretty big bowl and combined with the noodles, makes for a pretty filling meal! They also have a non-glutinous version! 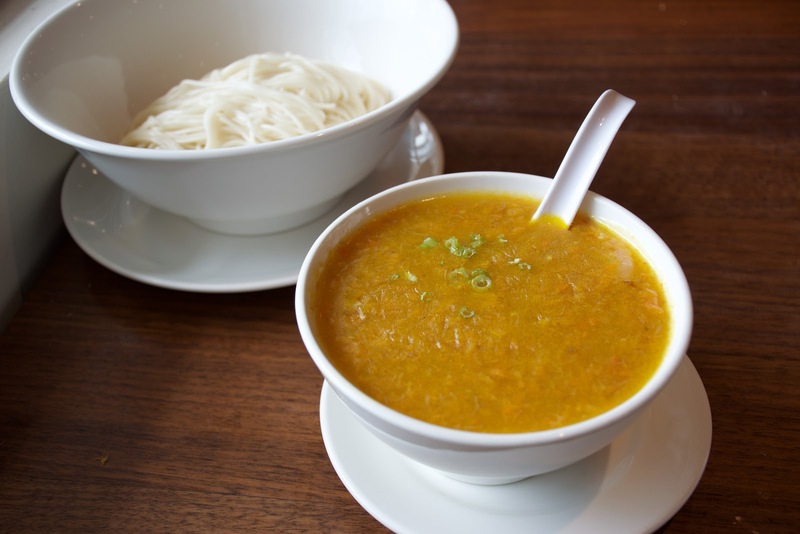 I've also tried something similar at Din Tai Fung in Taipei! The only difference is that these are made with glutinous rice wrappers! They have two versions, and I opted for the glutinous version, cause I love the chewy texture! Have't been to the Aberdeen location ..... looks elegant and fancy. Those red bean paste XLBs look great ..... I have a sweet tooth so that's like the best of both worlds. Selina I REALLY think you should have complained (or go back to complain) to the management about the waitresses' mis-information to you. Whether by accident or by negligence, her mistake caused you physical (and maybe psychological) discomfort and stress. Imagine if someone with peanut analphylaxic, life-threatening allergy received food that they were told did *not* contain peanuts ..... the outcome could be fatal. A real good thing that didn't happen to you, but you know what I mean, right ? She should have at least double-checked with management, and maybe even triple-checked with kitchen manager/staff. You're a paying customer with allergies and they (and ALL restaurant industry staff) need to be very cognizant of the risks and dangers. OK, jumping off of my soapbox. We just don't want to see anything bad happen to you !!! I was thinking about complaining, but in the past management/the waitresses usually just shrug it off as "no big deal." Some places don't even apologize, and I've even had people blame me! Especially since I'm pretty young and I always eat by myself, nobody takes me seriously. Oh well haha. But you're right, next time I'll try and be more assertive! DTF ..... yeah funny we were planning to go down to SEA yesterday for another event and I'd already semi-planned to head over to their new store in Univ Village Mall, since our event was just on the other side of I-5 across from Northgate Mall, so a few mins drive to DTF. But the wind storms and aftermaths delayed us and we settled for hanging out in Bellingham for the afternoon. Seattle's DTF will have to wait another time. Of course, what you choose to complain about is entirely your discretion. And yes, Chinese establishments & cultural norms generally shrug off customer feedback/criticism. Sad. It's a chance I personally take (and I *do* complain from time to time, with limited success in terms of acknowledgement and responses). You have to decide what's important to you and each restaurant & situation is different. Sometimes I actually like crappy service at some Chinese restos because that means I can get away tipping less, LOL. 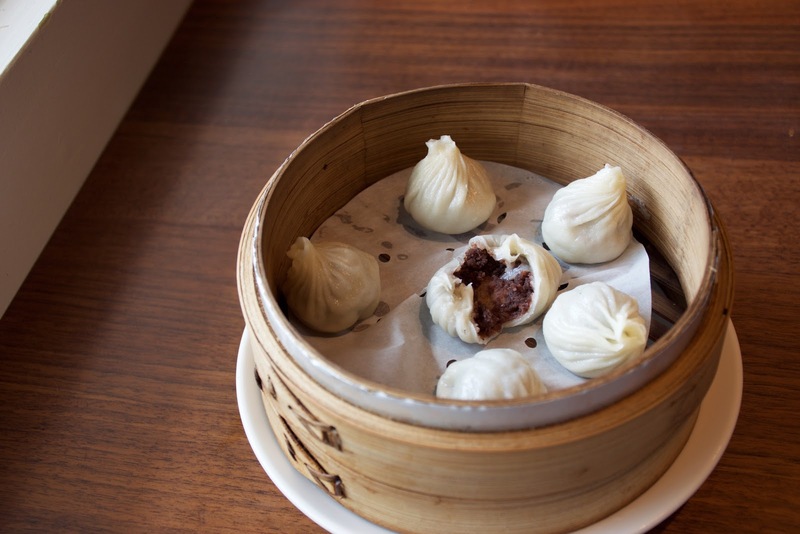 You have to try their red bean xlb the next time you go! Agreed, expressing your discontent, more or less, doesn't help that much unfortunately. LOL crappy service can be a good thing sometimes! 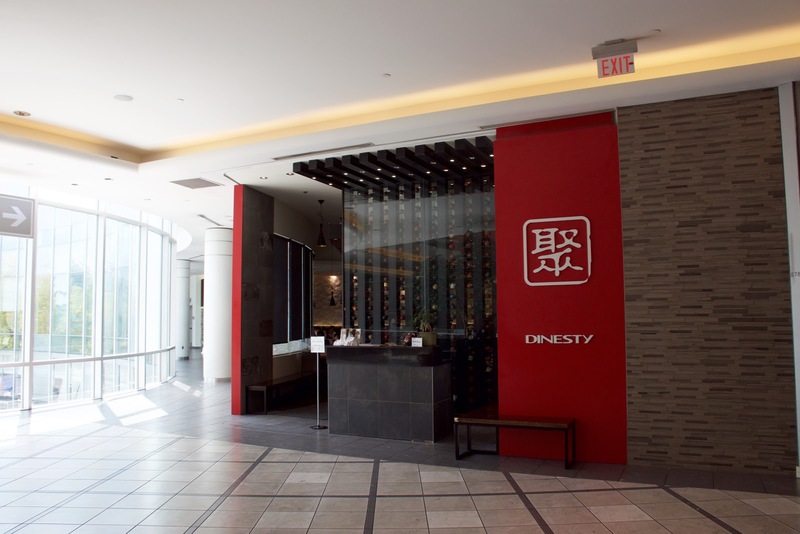 Dinesty also has a location on Robson, not far from Denman. But that space is small-ish and lineups can be long.